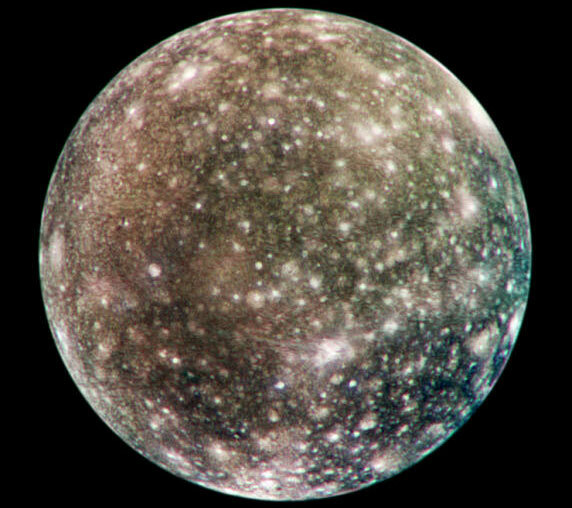 Explanation: Callisto's surface shows its age. While probably formed at the same time as Io, the difference between the surfaces of these two moons of Jupiter could hardly be greater. Io's surface is young, shows practically no impact craters, and is continually being repaved by the lava exploding from its many large volcanoes. 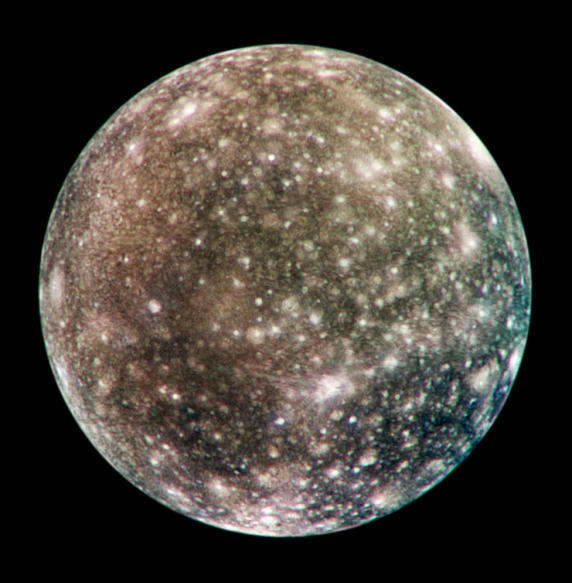 Callisto's surface is old, shows the highest density of impact craters in the Solar System, and harbors no volcanoes or even any large mountains. Callisto's surface is one large ice-field, laced with cracks and craters from billions of years of collisions with interplanetary debris. The above image was taken in 2001 May and is, so far, the only complete global color image taken by the Jupiter-orbiting Galileo spacecraft.